If you plan to redo your cabinets in black, you probably made a wise choice. 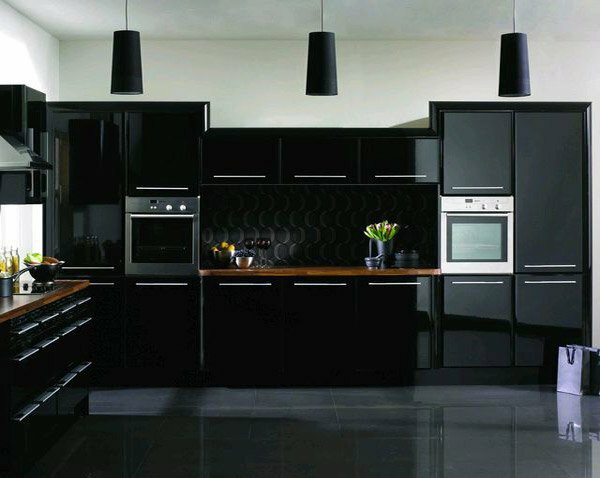 Although we often hear people who think black is too bold a color for a kitchen, it is our opinion that there is no such thing as too bold when it comes to the focal point of your home – It is supposed to stand out! 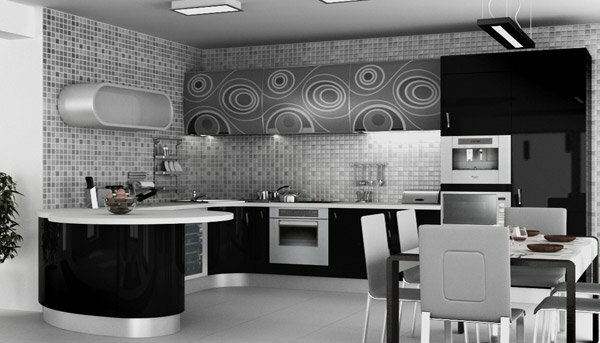 What better color to achieve what the boldest, the most elegant color there is – black. 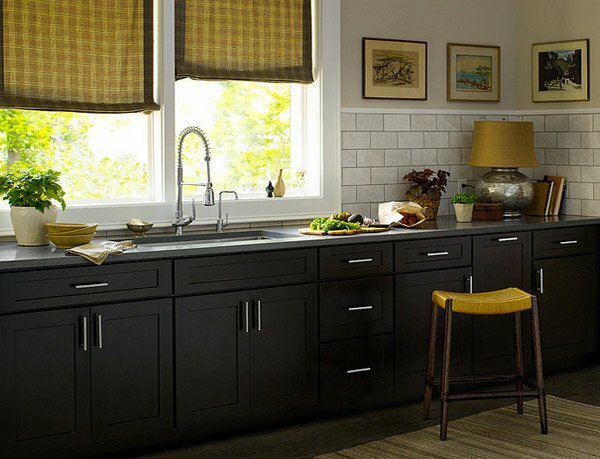 There was a time when white and brown were the strong color choices for kitchen cabinets and kitchens in general. But times have changed drastically and choosing the colors for the interiors are way more bolder than it was then. 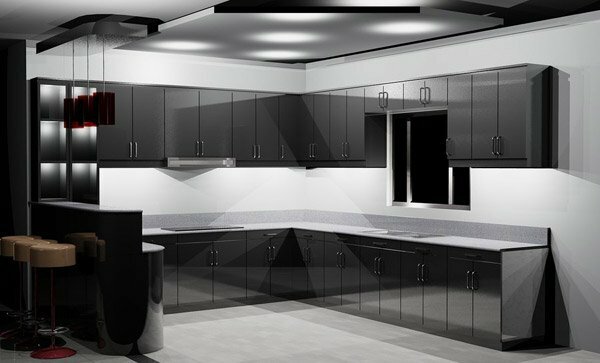 Black is the last color to capture a kitchen, black cabinets, black countertops and black floors, but today, you will be amazed with the 15 Astounishing Black Kitchen Cabinets that we have prepared for you guys. Take a look. We love the details visible in the cabinets above the countertops. The black cabinets and drawers below on the other hand are shiny and definitely prettier thanks to the contrast of the flooring and the walls. 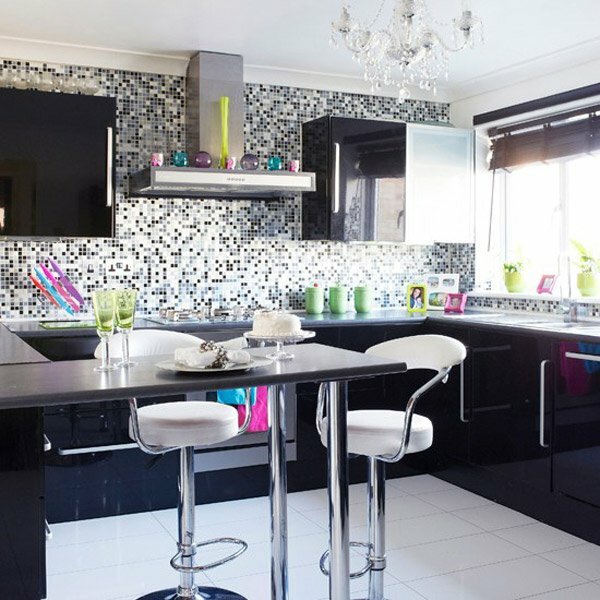 A mosaic feature wall becomes a real focal point in this contemporary kitchen – the monochrome mosaic adds a glamorous look to the room and makes the glossy black worktops and bright accessories stand out. In this apartment, the owner needed something simple and stunning. 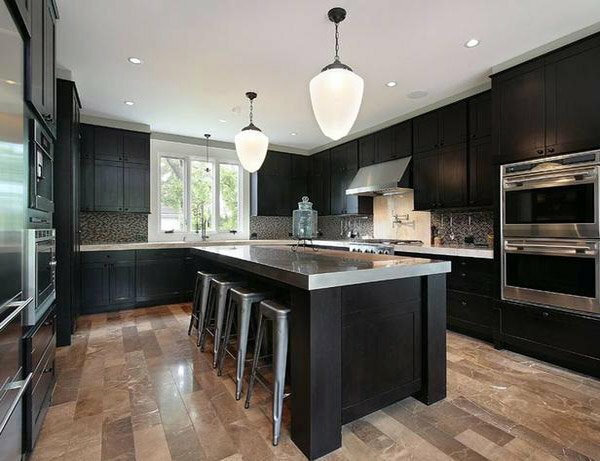 He chose the Birch Sable finish on these dark kitchen cabinets. Complemented by a beautiful grey countertop and white backsplash, he fell in love with his new space. 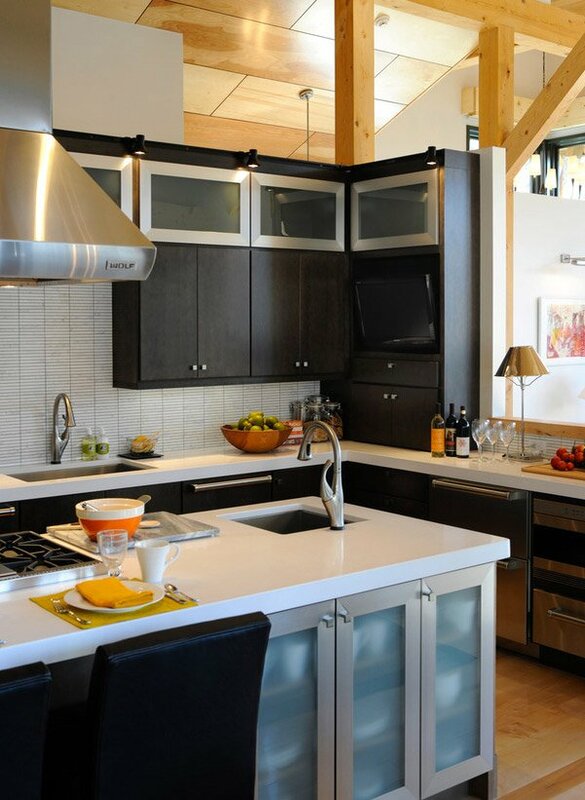 Sleek and modern, this kitchen has black cabinets and a fabulous stainless steel island countertop. A pasta faucet and convection add customized function to the space. Antique lighting and marble floors are a nice contrast to the room’s modern flow. There’s something so unique and, well, flat-out cool about this kitchen. It’s simple, but the warm wood floors keep it from feeling stark. 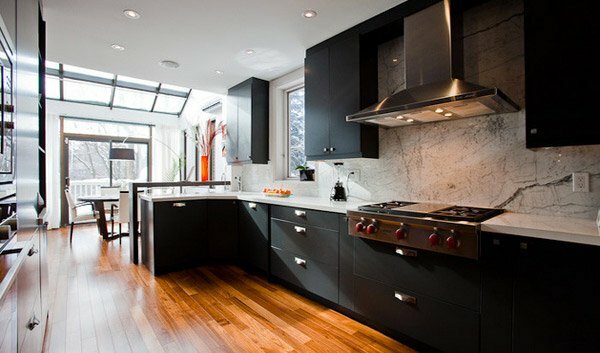 Note how these cabinets and drawers are shiny and glossy – they’re sleek, sophisticated and super classy. 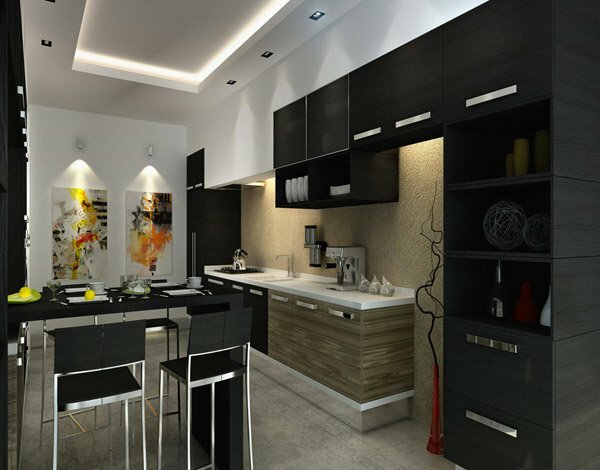 Don’t you just love the cabinets with the vertical slim design? The variety of sizes that these cabinets have is amazing! We’re sure you can think of a couple of things you can actually keep in that cute cubbies. A nearly 13-foot-long island, topped with white quartz, features three cabinets of storage shelves cloaked behind frosted glass. White cabinetry and worktops enhance the feeling of space, while dark walls and units add ‘wow’ factor to this modern kitchen. Lime green furniture adds a contemporary touch. 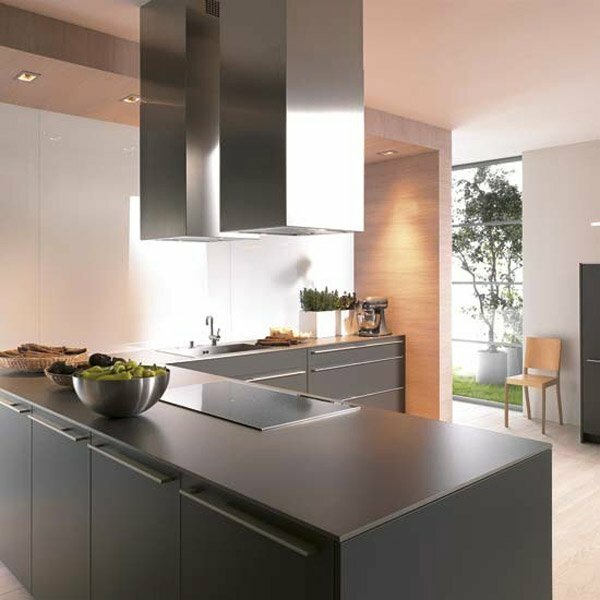 Choosing matt black cabinets for your kitchen is a bold choice, and when teamed with stainless-steel handles and appliances, and brilliant white walls, together they combine to create a contemporary room that is also a style statement. Open shelving and equal box-size cabinets seem pretty cool for this kitchen since it creates a feel of organization which is evident in this space. We just love it! 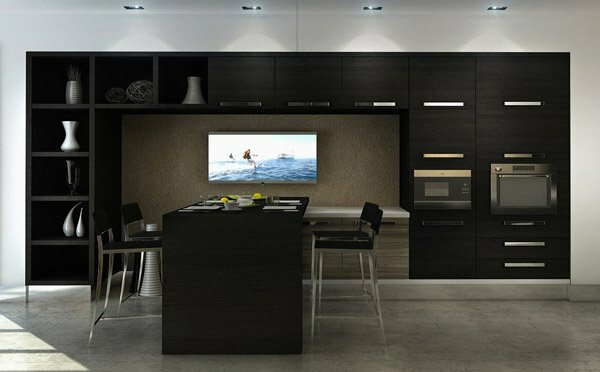 Vrlosilepa did a good job in recreating another kitchen space which showcase a beautiful set of black cabinets matching the kitchen island and barstools. Anyone who will see this kitchen space would be able to definitely say that they have eyes for this one! It’s pretty, chic and simple but super functional and space-saver. Black is an excellent base for a modern look. However, it is important to note that this color should be used in combination with other light tones or neutrals like white or cream. 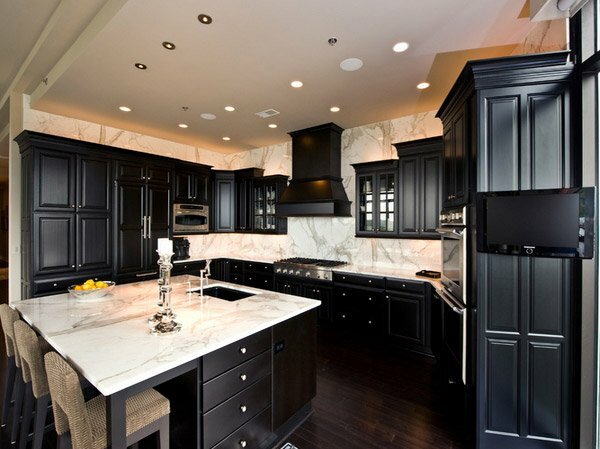 This kitchen has black cabinets with the white carerra marble counters. They complement each other and the color of the cabinets actually pop. 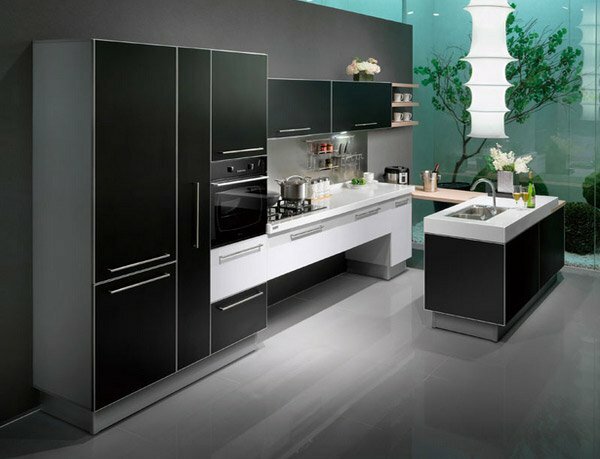 So how do you like the 15 Astonishing Black Kitchen Cabinets that we have showcased today? 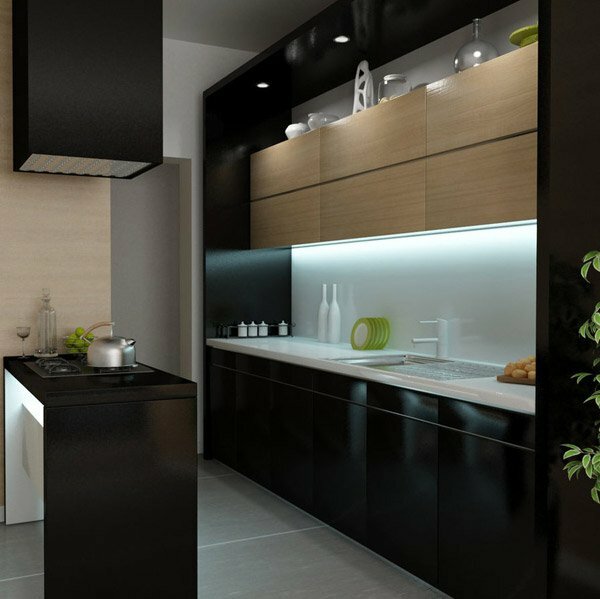 We sure hope that you liked them and always remember that although black kitchen cabinets can make a striking statement in the fashion mix of your kitchen, it is not a color that has been considered much in the past, but since in today’s trends, black may be the sexiest color ever chosen for any design style. 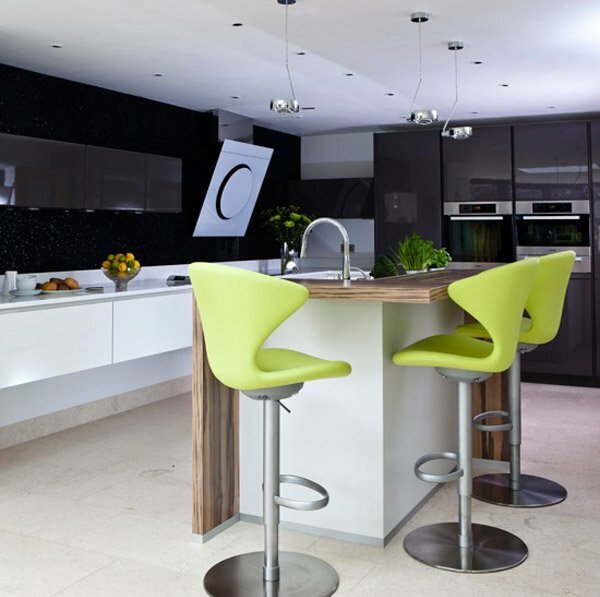 If you’re interested, you can also check out the 15 Awesome Black Tan Kitchen Designs that we have shown before. More on Home Design Lover.